Have you noticed a trend? 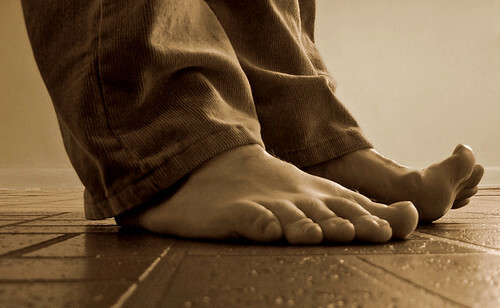 In a nutshell, moisture is our worst enemy when it comes to athlete’s foot fungus infections. Even if your shoes don’t feel wet to the touch, they likely are — especially if you have worn them all day at work or for a jog. Furthermore, flare-ups of athlete’s foot are also believed to occur when the body’s immune system is lowered for whatever reason, so it’s important that you focus on leading a healthy lifestyle in general. – Half of the feet harbored athlete’s foot fungus on the surface. – Not a single infection was recorded out of 100 feet subjected to the fungus. – Use non-alkaline soap-less detergent (Dove Beauty Bar, Zest Deodorant Bar, Neutrogena Body Wash) to wash your feet. A better method to dry out the shoes and limit the spread of microbes would be to use the podiatrist-recommended SteriShoe UV shoe sanitizer. Our device uses natural ultraviolet rays to kill dangerous pathogens (like the sort that cause athlete’s foot and toenail fungus!) and dry out excess sweat from shoes within 45 minutes. You can test one out here.